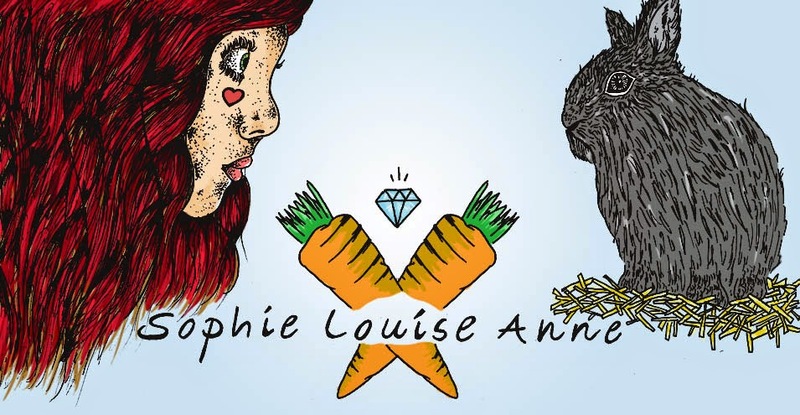 Sophie Louise Anne: The Wedding Planning Series #8 Honeymoon Choosing. The Wedding Planning Series #8 Honeymoon Choosing. 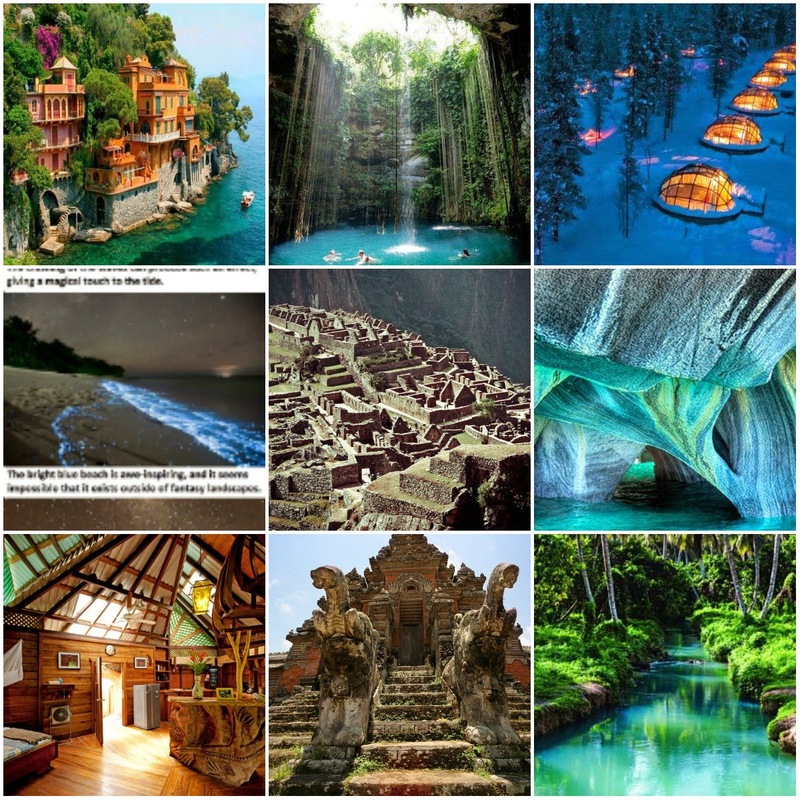 You can see all sources via my Pinterest page here. You'd think it'd be easy working out the one place you'd love to visit for your honeymoon? Well it really isn't as easy as it seems; over the last few weeks, winter has been vicious and it's taken me to Pinterest, longing for warm climates and paradise settings for our fanciest of all the fancy holidays. Your honeymoon is supposed to be the best trip ever isn't it? What with so many places I'm dying to visit, the choices are endless. So far Harps and I have agreed on three things: 1) It needs to be hot enough to tan- because that's part of the romance/loveliness of honeymoons. 2) It needs to have adventure- we're not the sort of people to lie on a beach for 2 weeks, we'd get too bored! We need things to learn about and sights to see and activities to look back on for years to come. 3) It needs to be beautiful- It's my damn honeymoon, it has to be fabulous looking right? 1) Portofino, Italy- I'd quite love to do a little tour around Italy, visiting Portofino, Florence, Pisa, Pompeii etc- Harps thinks we should be going further away-longer haul and a new continent. 2) Tulum, Mexico- Doesn't this pool look amazing? The pros of Mexico include amazing food and lots to do? 3) Finland- I will not go on a snowy honeymoon. I'm always pretty cold and it's just not my idea of honeymoon paradise. Harps loves this though. 4) Maldives- Pretty cliche but who can't be amazed by that glowing beach! How magical! 5) Machu Picchu- A real adventure and something I'd love to do one day. I'm just not sure if I want to have to do training before my honeymoon? Maybe a little too much adventure? 6) Chile- These marble caves look breathtaking- I HAVE to see them one day. Not so keen on the coldness of Chile though! 7) Costa Rica- This tree house resort looks AWESOME! There are monkeys and sloths and other animal friends right outside your door. It looks luxurious and original and beautiful and I'm seriously considering this as a location! 9) Dominican Republic- Not somewhere I've looked into as much, though looking through some pinterestesque photos make it a bit of an dark horse? Have any of you been to any of the places above? Do you have any tips from your honeymoons? As always, any and all feedback/help would be appreciated! I for sure back anywhere like Mexico, Costa Rica etc...not that I've been but they definitely seem like places with a lot of stuff to do as well as having nice weather. I'd love to do Machu Picchu too but like you say...not really for a honeymoon. Can't wait to see where you decide on! I've sadly not been to any of these places (yet, I hope!) but I can see why you're finding it difficult to choose somewhere - so many beautiful choices! I know it's an unusual choice because it's so cold but I'm a little in love with Finland, so my eyes were immediately drawn to that photograph. I had a very cold and very beautiful weekend in Oslo a couple of years ago and it has really won me round to cold holidays. Machi Picchu is incredible, you don't need to do the Inca trek and can do it by public transport, although there is of course some walking closer to the top. Peru as a whole is great, there is so much to see and do. I love the idea of Finland, probably because it's something different. We originally had planned a big roadtrip for our honeymoon from Michigan across and down to Virginia and back a huge big circle, but with our wedding dependent upon my visa and it's timing we ended up getting married in December so a winter roadtrip wasn't the best idea! We ended up splashing out on a nice hotel and stayed in Chicago, probably not the place everyone would go to but it's a city full of the things we love - good museums and food so we were more than happy. We went to Iceland for our honeymoon and although it was a brilliant holiday, we've had others since that have been far better (not because of the place though, that's fab). The thing is, everyone else around you builds the honeymoon up to be this huge thing which will be the "best trip you've ever been on", spending a fortune when the cliché is that you won't even see any further than the four bedroom walls. So the only advice I have is just to relax and enjoy it, don't let everyone else force you to build it up into a huge thing, you'll be under far too much pressure when you're there that it *has* to be amazing. Just go wherever you like, do whatever you want when you're there (we did lots of sightseeing) and that way, you should have the first of many amazing holidays as husband and wife!